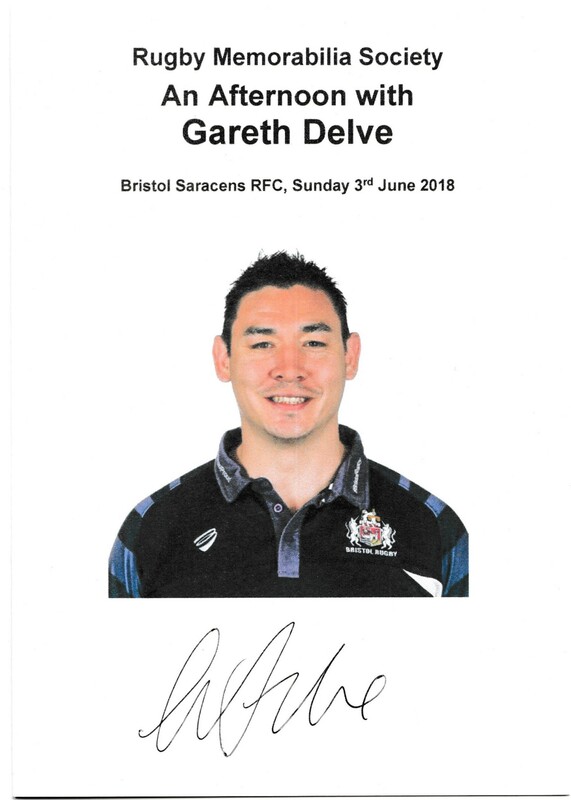 Gareth Delve Speaker's Card produced for the event. Our 2018 AGM was once again hosted by Bristol Saracens RFC on Sunday June 3rd, with many old and new faces coming to the event. There were a few stalls to browse through, our annual auction of memorabilia which was all kindly donated, plus our raffle to be enjoyed. 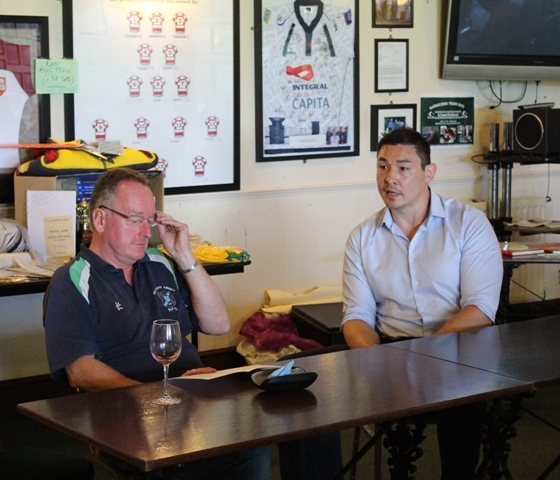 Our Guest Speaker was former Bath, Gloucester, Melbourne Rebel, NEC Green Rockets, Ospreys, Welsh International & current Bristol RFC team manager Gareth Delve who spoke very well about his Rugby career. The Rugby Memorabilia Society would like to thank Gareth for taking the time out of his busy schedule to join us for the day. 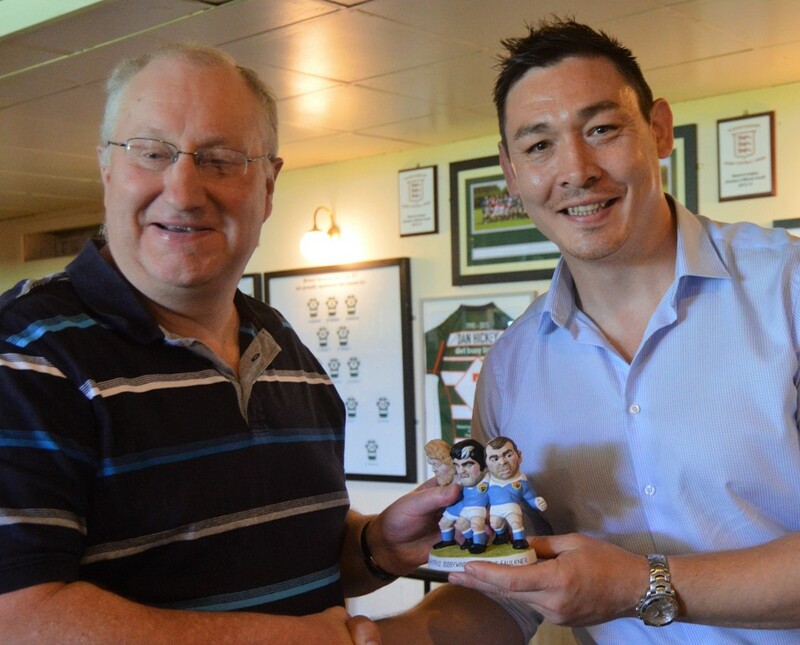 presented with his unique Grogg of the Pontypool front row in Monmouthshire kit by Gareth Delve.